News ! An Upgraded Version Of Original iStick Pico Coming ! 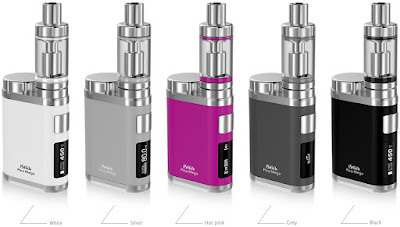 Home / Eleaf / Eleaf Istick / Eleaf iStick Mega Kit / iStick Mega / iStick Pico Mega Kit / Pico Mega Kit / Pico Mega Starter Kit / News ! An Upgraded Version Of Original iStick Pico Coming ! I'm so glad to introduce you another skillfully engineered e-cigarette kit Eleaf company just released, the iStick Pico Mega kit . iStick Pico Mega, an upgraded version of original iStick Pico, is compatible with both 26650 and 18650 batteries. Now it is in stock at our store, hope you'll like it !